O Christmas Bill! O Christmas Bill! Every so often, Congress finds itself having to complete a spending bill or two before leaving Washington for Christmas and New Years. 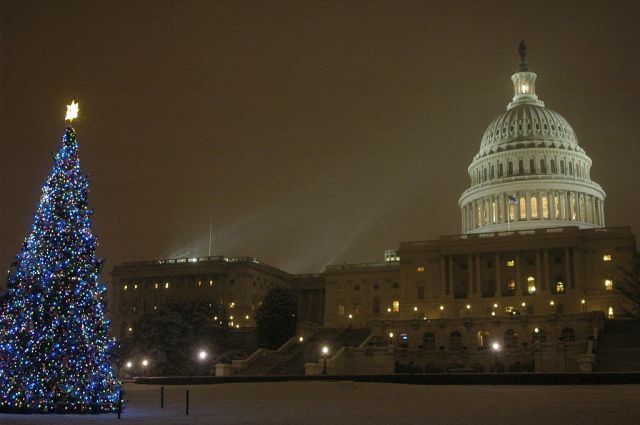 At the same time, some spending bills can have so many different amendments attached that they are like the various ornaments hanging upon a Christmas tree, so they have earned the moniker “Christmas tree bills”. In the spirit of good cheer, we’ve come up with a Christmas song celebrating this species of legislation. We’re hoping it becomes Congress’ favorite Christmas song. But hey now, look, it’s December twenty-one. You kept us stuck in D-C.
What will it take to pass you? We need more votes, what can we do? You do divide us so much. Now Members can’t amend no more. But we gotta keep the guv’mint going. We finally found the answer. But the spending will decrease. We finally found the answer! We finally get to go home. Because we compromised, as we must do. Too bad the Pres vetoed you! Timothy Lang is a research assistant at the Congressional Institute and Andrew Meyer is a staff assistant. The Sausage Factory blog is a Congressional Institute project dedicated to explaining parliamentary procedure, Congressional politics, and other issues pertaining to the legislative branch.